[Sunday, September 2, 2007] Engineers at the University of Washington are working to create new emergency treatments right out of Star Trek: a tricorder type device using high-intensity focused ultrasound rays. [Monday, September 3, 2007] This notice announces OMB approval of the information collection requirement in the final rule (72 FR 17001). The sections of the final rule pending approval of this information collection request are effective on publication of this notice. [Tuesday, September 4, 2007] Jean-Yves Le Gall, Chairman and CEO of Arianespace, and Jay Monroe, Chairman and CEO of Globalstar Inc., today announced the signing of a firm Service & Solutions contract for four launches, along with an option on four additional launches. [Wednesday, September 5, 2007] 2002 was the last year in which NASA's auditors were able to provide a "clean" opinion of the Agency's financial statements.� 2003 was the year NASA implemented its integrated financial management system. [Thursday, September 6, 2007] Researchers have used a new technique to save $60 million for broadcasters by extending the service life of two communications satellites. [Thursday, September 6, 2007] A team of U.S. and British architects and designers, accompanied by officials from NMSA and Virgin Galactic, unveiled the design renderings of Spaceport America at a press conference Tuesday, September 4, in Las Cruces, New Mexico. [Thursday, September 13, 2007] The X PRIZE Foundation and Google Inc. today announced the Google Lunar X PRIZE, a robotic race to the Moon to win a remarkable $30 million prize purse. [Thursday, September 13, 2007] " ... you are invited to participate in a workshop to begin the process of identifying and crafting pioneering research to be conducted on board the ISS National Laboratory." [Thursday, September 13, 2007] SpaceX announced today that it has signed a contract with the UK-based Avanti Communications Group (Avanti) for the launch of Avanti's HYLAS Ka band satellite to geostationary transfer orbit (GTO) on board a SpaceX Falcon 9. [Friday, September 14, 2007] The other day I had a chance to take my iPhone aboard a Zero Gravity Corporation weightless flight sponsored by the Northrop Grumman Foundation. My iPhone experienced a dozen weightless episodes - and still works just fine. [Monday, September 17, 2007] We've gathered to kick off this lecture series commemorating NASA's upcoming 50th birthday. But we're celebrating more than what NASA has done and the benefits that have followed; we're celebrating who we are, and who we can be, as a people. [Tuesday, September 18, 2007] Today, the President accepted the recommendation of the Department of Defense to end procurement of Global Positioning System (GPS) satellites that have the capability to intentionally degrade the accuracy of civil signals. [Wednesday, September 19, 2007] New higher resolution lunar imagery and maps including NASA multimedia content now are available on the Google Moon Web site. [Wednesday, September 19, 2007] The European Commission has adopted a proposal on how to finance the extra EUR 2.4 billion for Galileo and the EUR 309 million for the European Institute of Technology (EIT) through a revision of the Financial Framework 2007-2013. [Tuesday, September 25, 2007] This week a team of Italian and US scientists when received preliminary confirmation of a 10-year-old theory from a fluid science experiment that is currently orbiting the Earth on the Foton-M3 spacecraft. [Tuesday, September 25, 2007] Lockheed Martin has been awarded a $178 million contract by NASA to design and build the agency's Solar Ultraviolet Imager (SUVI). SUVI is a series of extreme ultraviolet instruments that will fly on the GOES-R Series. [Tuesday, September 25, 2007] NASA has awarded a contract modification to the European Space Agency's Space Technology Center for additional engineering services for the International Space Station Node 2 and 3 modules. The modification is valued at $27.5 million. [Tuesday, September 25, 2007] On October 6, nine exceptional students from around the world will commemorate the 50th anniversary of space age and experience weightlessness for the first time on a zero-gravity flight from McCarran International Airport in Las Vegas. [Tuesday, September 25, 2007] Ball Aerospace & Technologies Corp. has successfully completed two significant milestones for the Kepler Mission: the precision coating process of Kepler's primary mirror, and the integration of the detector array assembly. [Thursday, September 27, 2007] United Launch Alliance successfully launched a Delta II Heavy expendable launch vehicle today from Space Launch Complex 17-B at 7:34 a.m., EDT carrying NASA's Dawn spacecraft. This launch marks the third ULA mission this year conducted for NASA. 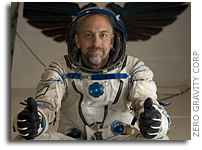 [Friday, September 28, 2007] Space Adventures, Ltd., announced today that famed game developer Richard Garriott, son of former NASA astronaut Owen Garriott, has begun preparations for a "commercially active" mission to the International Space Station (ISS). [Saturday, September 29, 2007] NASA will accelerate missions featuring space nuclear power. The decision marks a major milestone for robotic exploration, but is a controversial move among groups that oppose space nuclear power because of launch safety concerns.